Plot Summary: Detective Conan is famous anime about Shinichi - a seventeen year-old high school detective, one day. One day, he wakes up and finds that he has become a 7 years old child. 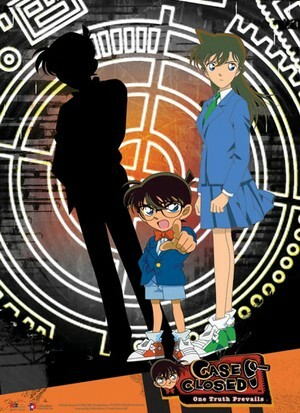 In order to find the reason for this transformation and the one who is responsible for it, Shinichi hides his identity and lives with Ran - his childhood sweetheart, whose father happens to be a hopeless detective, and with that begins an adventurous series of murders and mysteries that he must solve in search for the ones who put him in his awkward situation.